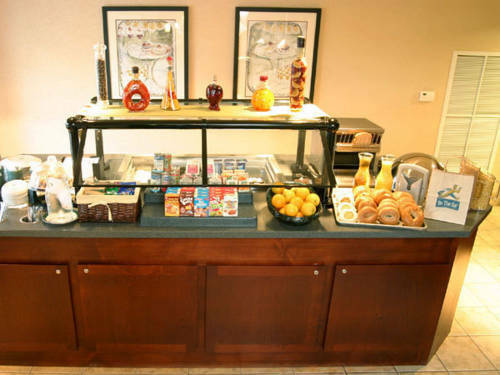 Get Comfortable in Middleton, WI Hotel's Charming SuitesGuests love the Staybridge Suites Middleton / Madison - West hotel's location in downtown Middleton, Wisconsin. The hotel's convenient location is only four miles from downtown Madison, where you can experience all that the area has to offer.Smart business travelers looking for hotels near Madison, WI choose us because Accuray, Epic Systems, Electronic Theater Control and the University of Wisconsin-Madison are either within walking distance or a short drive. Use free wireless internet access and a complimentary shuttle to Dane County Regional Airport (scheduled in advance with the hotel). Offering the convenience of a home away from home, leisure guests appreciate the hotel's quick access to Hwy. 12 & 18 and I-90/94 & 39. Staybridge Middleton is walking distance to area restaurants and shopping, too. And after a day of shopping and sightseeing, guests love returning to big suites with a residential feel.Above all, the Staybridge Suites Middleton / Madison - West hotel's amenities provide corporate travelers and families with the best amenities around. Take advantage of temperature-controlled, underground parking, 24-hour fitness and business centers, 24/7 free guest laundry facilities and an indoor pool and hot tub. Join us for the evening social hour Monday thru Wednesday for beer, wine and light meal. Make our pet friendly, extended stay hotel your choice today! Childrens's program - Various books & board games. Pool, bean bag game and basketball court. Middleton Room: The Middleton room is the largest of our meeting spaces. This room is equipped with heavy weight 2X6 foot tables and chairs, dry erase board, bulletin board and screen. It also has a wet sink counter and full wall of windows overlooking our veranda. Hilldale Shopping CenterHilldale Shopping Center is home to fantastic shopping, dinning and entertainment which includes stores like Macys, Anthropologie, Fair Indigo, L'Occitane, The North Face and much more! It even features a mega Target! Downtown Middleton Farmers MarketShop the Middleton Farmers Market May through October 29 for wholesome and locally-grown produce, flowers, meats and baked goods. Stop by Tuesday to discover what s in season each week. The market is located in the parking area of Capital Brewery.